Our favourite Arnott’s Bikkies have been transformed into cakes! 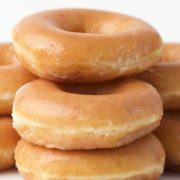 THIS IS WHAT SWEET DREAMS ARE MADE OF. 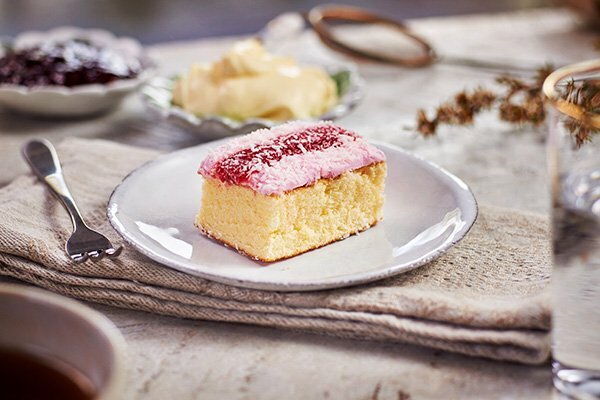 Arnott’s has just revealed the mouth-watering news that they’ve turned some of Australia’s most iconic biscuits into cakes! 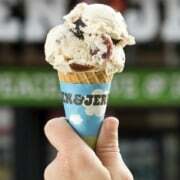 Think Iced VoVo, Mint Slice and Monte Carlo… DROOL! 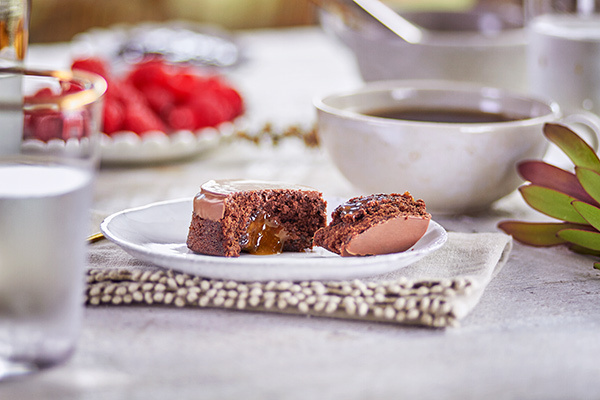 The trio are among a new range of mini cakes that are available exclusively at Coles from today. 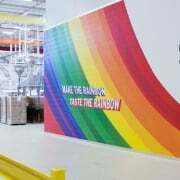 “We are often asked why we don’t bake cakes, so we dug into our flavour archives for inspiration from some of our most loved and iconic brands,” Arnott’s Brand Manager Ally Doubé said. 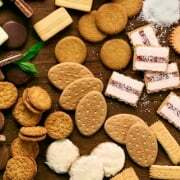 Doubé said the new range of cakes are inspired by their classic biscuits, leveraging similar flavour profiles, and in some instances, the same ingredients. “You can rest assured you will recognise the gooey caramel from your Caramel Crowns biscuit or the peppermint cream from your Mint Slice biscuit!” she said. A vanilla sponge, topped with pale pink fondant, centred with sweet red raspberry filling and delicately sprinkled with desiccated coconut. A rich dark chocolate cake, filled with a mint crème (made with the mint oil from Mint Slice!). 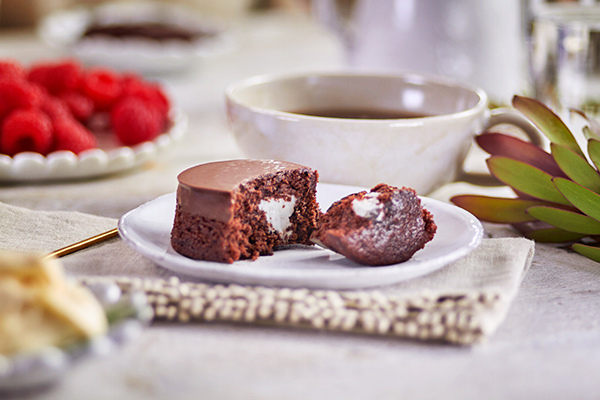 The Mini Cake is soft to bite into, with a strong mint taste waiting to be discovered in the centre. A brownie base filled with a gooey caramel and finished with a milk choc layer! The caramel is soft with a sticky consistency – deliciously gooey after 5 seconds in the microwave! 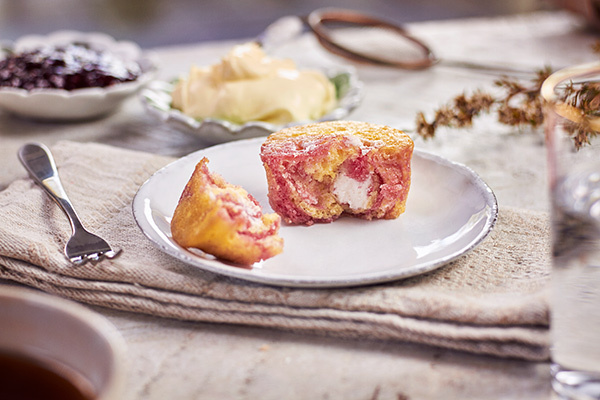 A honey-coloured mini cake, made with golden syrup and coconut, with a vibrant raspberry jam swirl throughout the cake. At the heart of the Monte Carlo is a light and fully vanilla crème filling, which will fill the room with a sweet baked vanilla cake aroma, and hints of golden syrup, raspberry, coconut and vanilla. BRB, just heading down to the supermarket for a minute…. http://www.mygc.com.au/wp-content/uploads/2018/07/Arnotts-Cakes-Range.jpg 321 845 Shanee Dobeson http://www.mygc.com.au/wp-content/uploads/2016/04/mygc-logo.png Shanee Dobeson2018-07-17 14:19:212018-07-17 14:44:25Our favourite Arnott's Bikkies have been transformed into cakes!